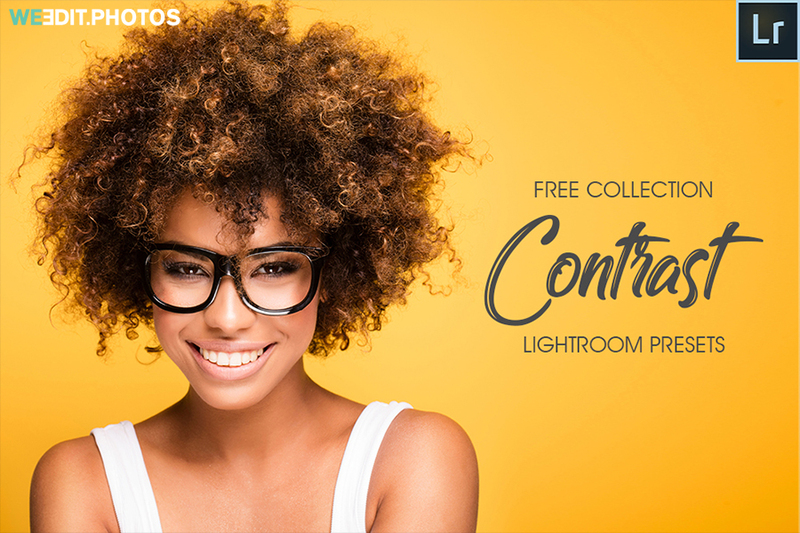 If you use Adobe Lightroom, then you know that this is one of the best graphic tools for photographers/designers/creatives of different professional levels. This software is very popular and highly used today, because of a simple algorithm of work, and an optimized module for photo color correction and basic adjustments. 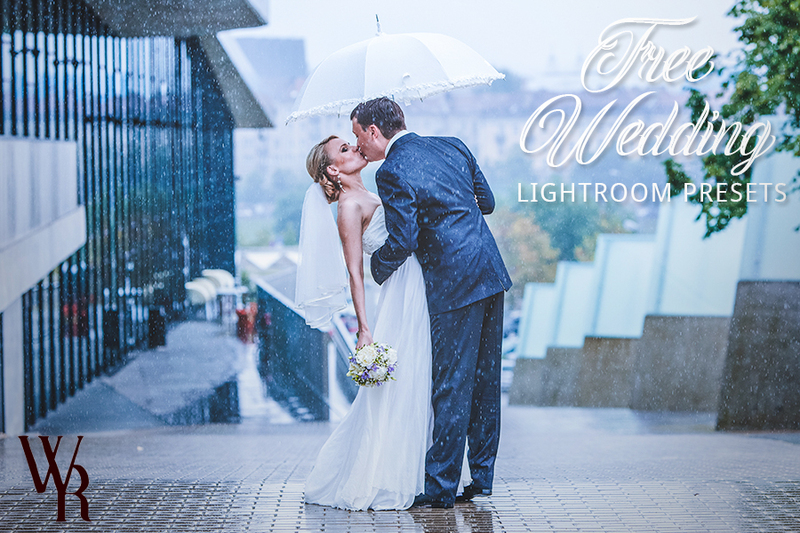 Today most photographers prefer Adobe Lightroom to replace a well-known Photoshop. 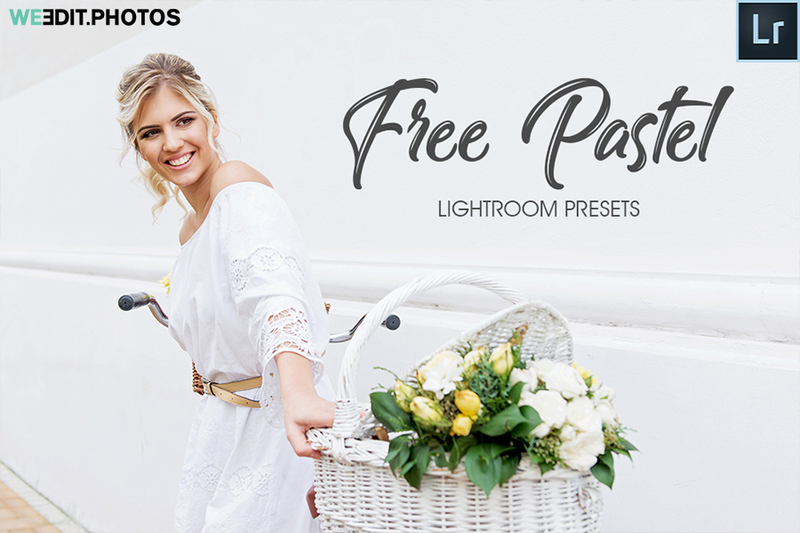 It is easy to learn and you may use ready-made free portrait Lightroom presets or design your own professional Lightroom plugins to make photo editing automatic and quick. 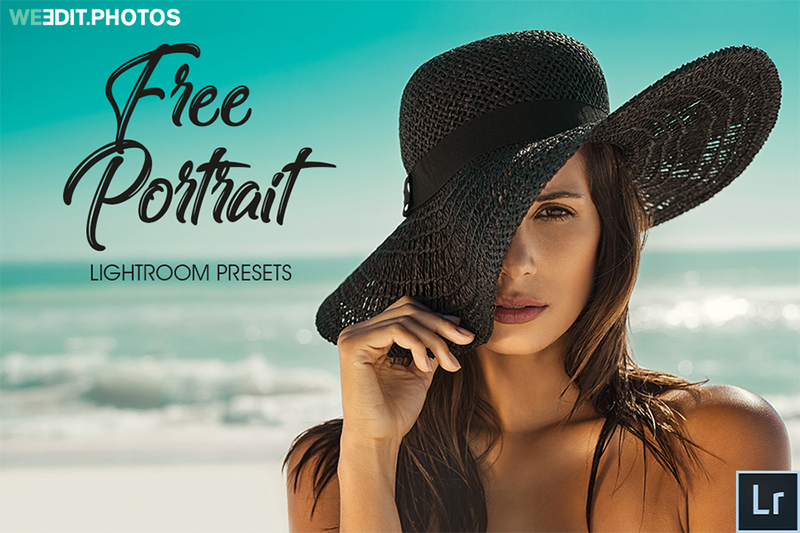 So, if you are looking for these magical plug-ins for free, here are 50 free portrait Lightroom presets that are available for download. In addition, all these presets will make your photos more quality and beautiful. 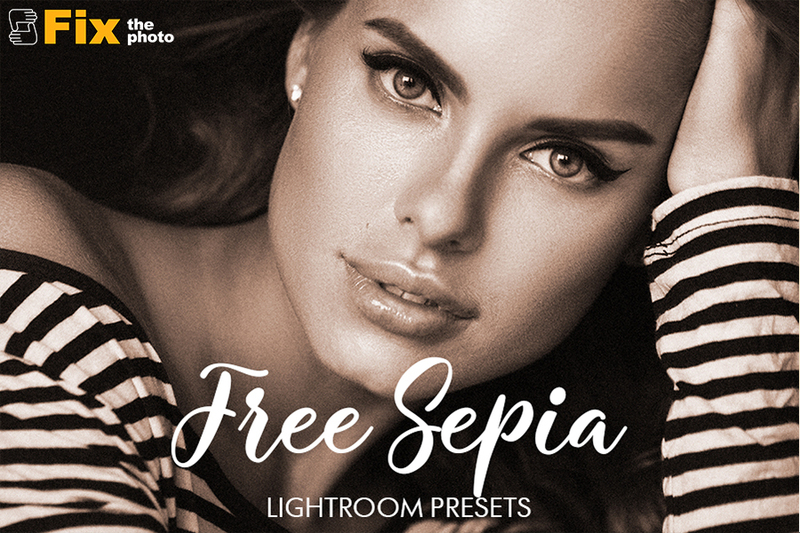 If you work as a photographer or just like to take pictures of the world around, then you will benefit from this bundle of the best free Lightroom presets 2018. As a result, you don’t need to spend time analyzing Google results. Simply select the desired preset in the list below. First, you need to open the program and find the image you want to edit. Select a preset. To do this, we go to the Lightroom tab and select Preferences -> Show Lightroom Presets. After that you will see the Adobe section where you need to select only the Lightroom folder. Double-click on this folder and then select Develop Presets. This folder contains all the available tools of your library. To install additional presets, you need to drag the corresponding folder into the Develop Presets. These are all the actions that you must perform to install free portrait Lightroom presets in your library. Now you need to go back to Lightroom and open the Develop section. All available presets appear on the left side. All you need is to select the right tool for further work. Click on the preset to select it. One click can change your photo according to your preferences. Unfortunately, we cannot leave any photo unedited to have a professional look. As a rule, you need to apply a lot of photo editing techniques and also spend a lot of time to achieve the desired result. To make it simpler, FixThePhoto photo editing service designed a set of professional Lightroom presets for beginning photo retouchers who want to study photo editing in Lightroom. Moreover, the set of such presets allows you to get a delightful result and save a lot of time. 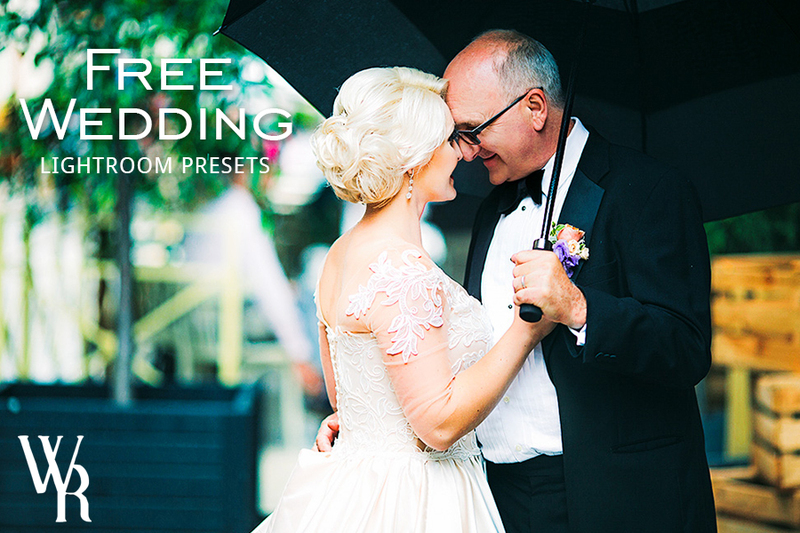 In total, FixThePhoto company has 36 sets (about 400 LR presets) for different types of photos. However, we have collected the best and trendy tools that are designed specifically for portraits. This set is available to every user who would like to change the style of photos into monochrome. If you want to change the color, tone or shadow to a more classical variant, then this is what you need! 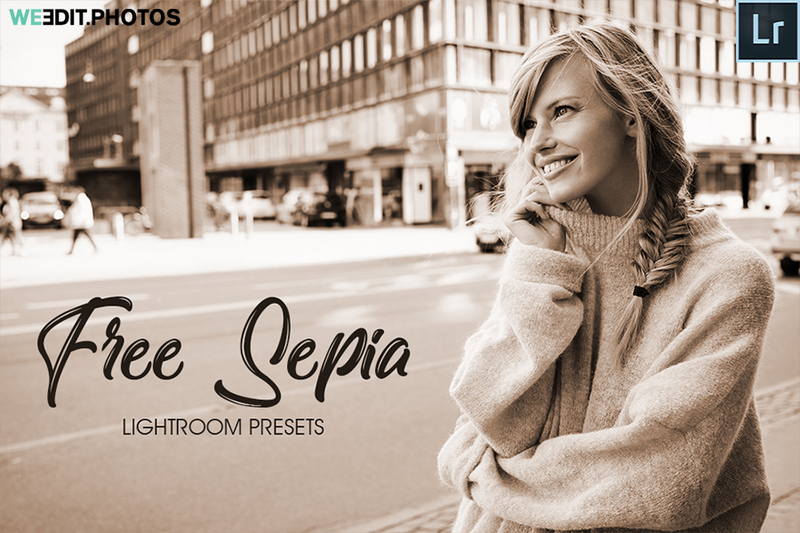 This delightful and popular set of presets has all the necessary tools that will add a “sepia” effect to your photos. 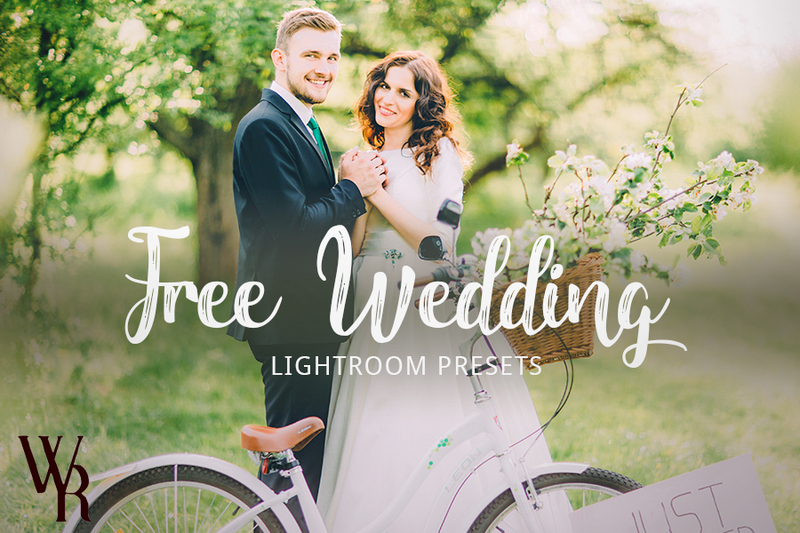 The set includes 10 presets that make your photos fashionably faded and antique. Wedding is a wonderful day and a holiday for every person. 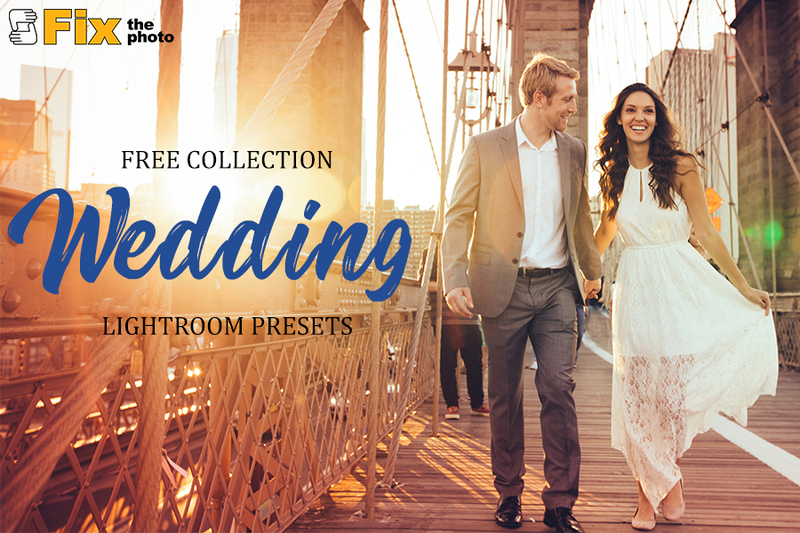 Therefore, Lightroom presets wedding free download is what you need. 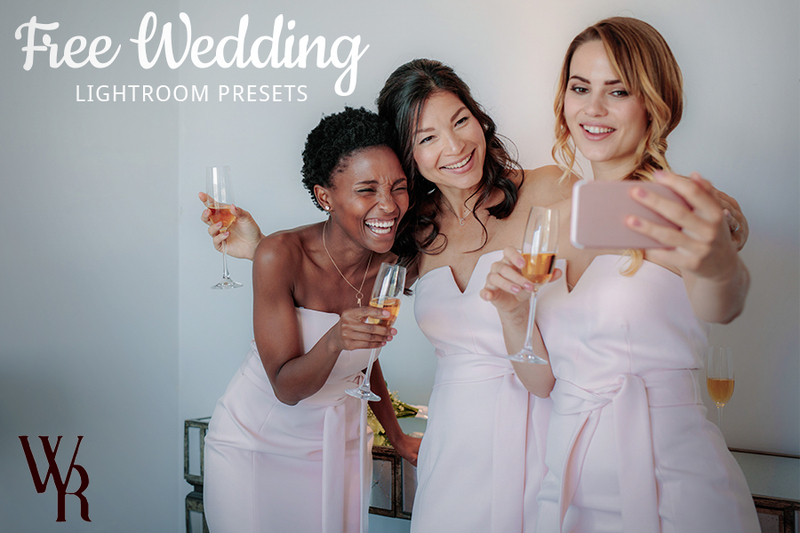 The set includes 10 quality tools that are suitable for wedding photographs. This bundle is recommended to apply for batch editing, wonderful color correction is guaranteed. 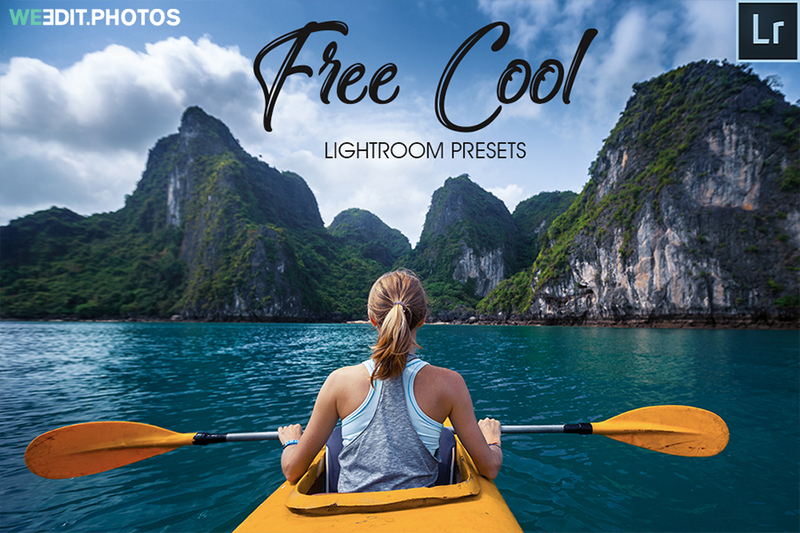 If you would like to warm up your photos, then select one of the presets of this kit! Gentle and soft tonal range is achieved in several clicks. Provides soothing, soft, milky, washed out, and desaturated color effects to your photos. Make your outdoor photos be full of light and tenderness. The kit is intended only for editing portraits. It’s a universal collection for studio and street photos. 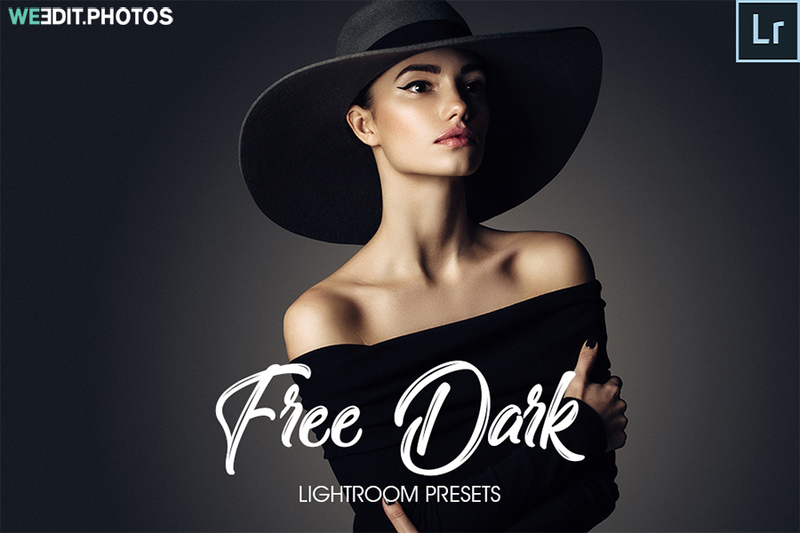 Is one of the best sets of graphic tools among Instagram photographers, it includes 10 presets that will help you create a wonderful film effect, darken too highlighted areas, and give a grunge effect to your photo in 2 clicks. These presets will add this glorious color effect to your photos. 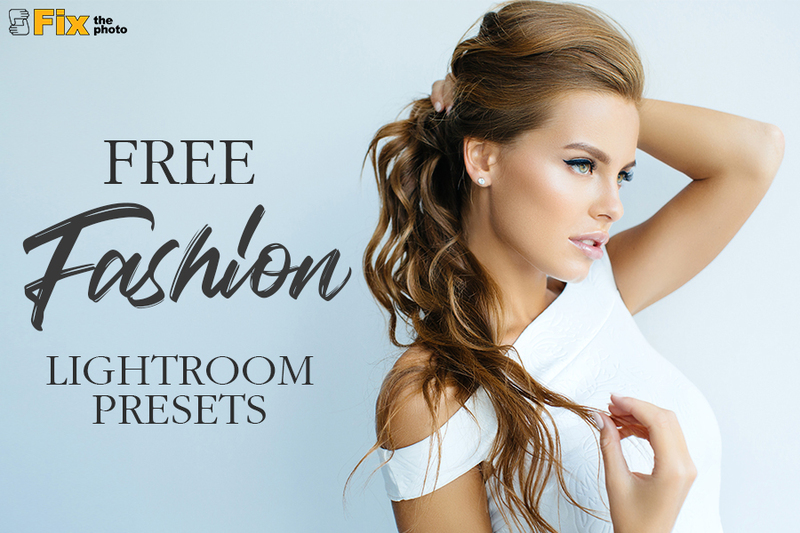 These free fashion Lightroom presets will help you enhance any clothing and other fashion items in Lightroom without much efforts. They allow the subjects and settings to look more interesting and professional. 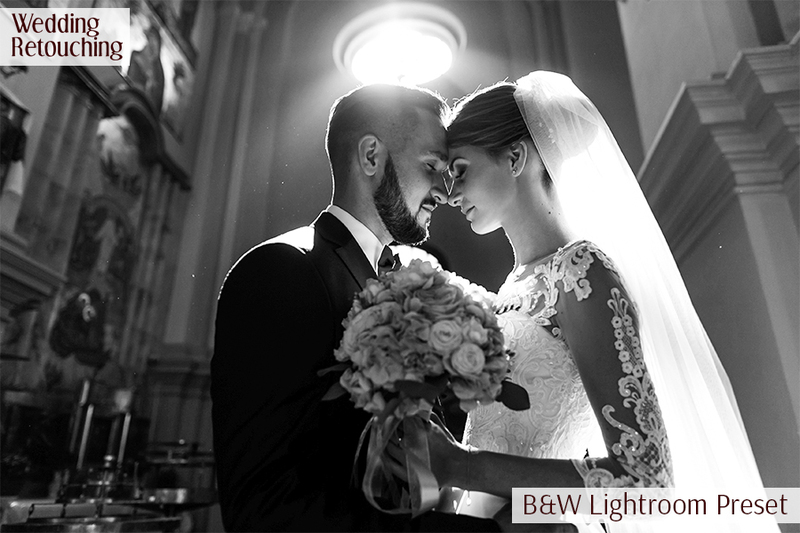 Use Adobe Lightroom to create a stunning cinematic, soft glow effect that’s perfect for wedding and portrait photography. Are designed to make ordinary photos stylish and fashionable. 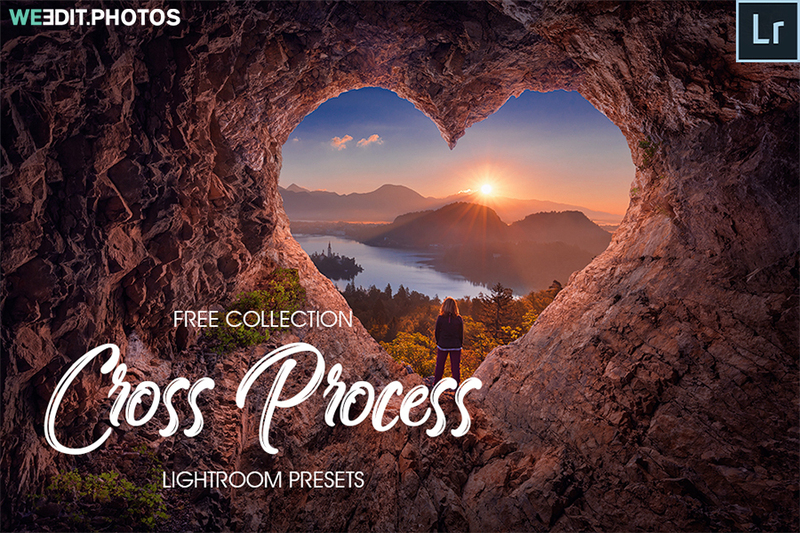 It is the most downloaded set of LR presets in the world. 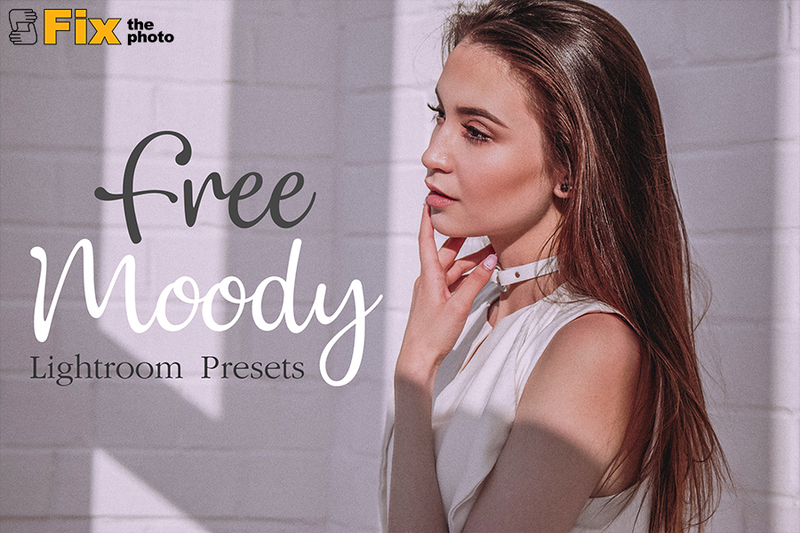 Develop stunning photos with these 35 different presets to achieve this moody effect on your photographs. WeEdit.photos service has 30 best Lightroom sets for different types of photos: portraits, wedding, event, landscapes, street photos, etc. Here are 10 best and popular presets that you can use for portraits. They will help you achieve excellent results in 2 clicks. Now, you do not need to waste time searching for suitable tools in the web to make a perfect color balance. This plug-in gives your portraits a fresh and lively touch. Highly recommended for the portraits made on the nature background. If you’re looking for a Polaroid camera effect, this is a perfect bundle for that. 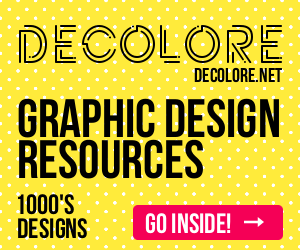 Was created for quick and easy correction of colors giving them clarity and saturation. Typically, this preset is used for studio portraits with one colored background or for black and white portraits. 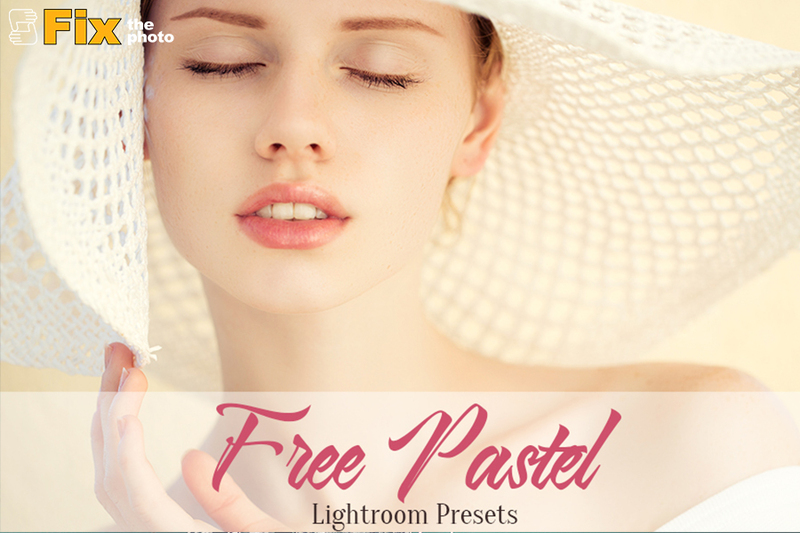 This Lightroom preset free is a great choice for the portraits with many blue and green colors. Makes your photos fresh and juice in several clicks. Autumn is a wonderful time for family portraits. Typically, these pictures are filled with warm tones that should be enhanced while photo editing. 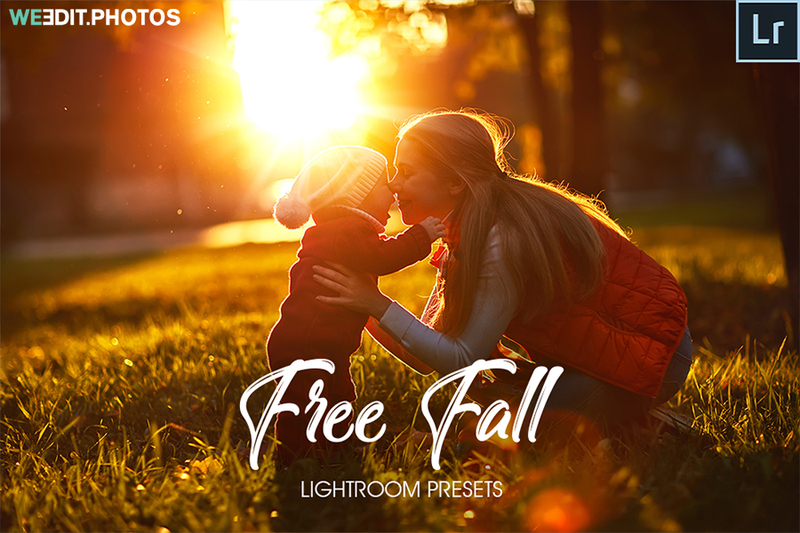 Make your Golden Hour photos look incredible with this preset. Is your photo too light or dark? Do not worry, this LR plug-in will help you fix it and make the picture beautiful. 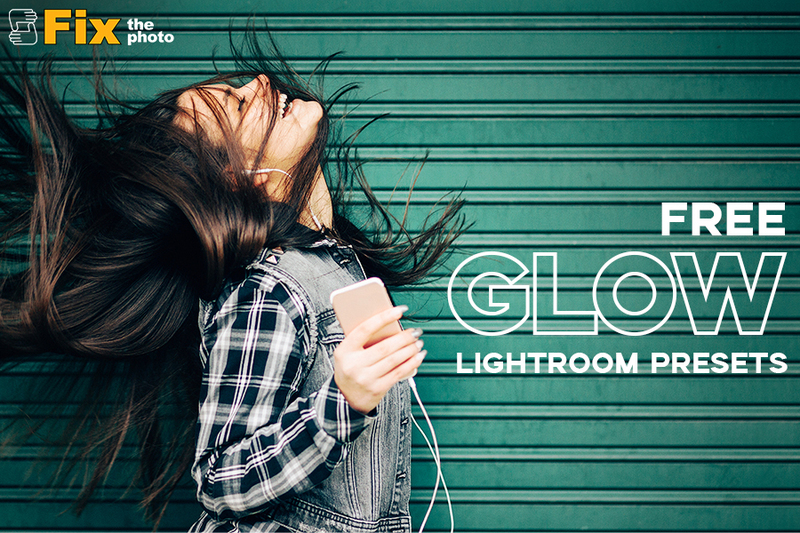 To help you make the most of your street portraits and get through your workflow quickly, choose this Lightroom preset. Designed to correct colors and give a classic urban style to your photos. Universal 10 LR presets for portrait photographs. Make photos look natural, correct white balance and remove yellowish tints from the skin. Includes tools that allow you to change the background, tone and color of the picture. 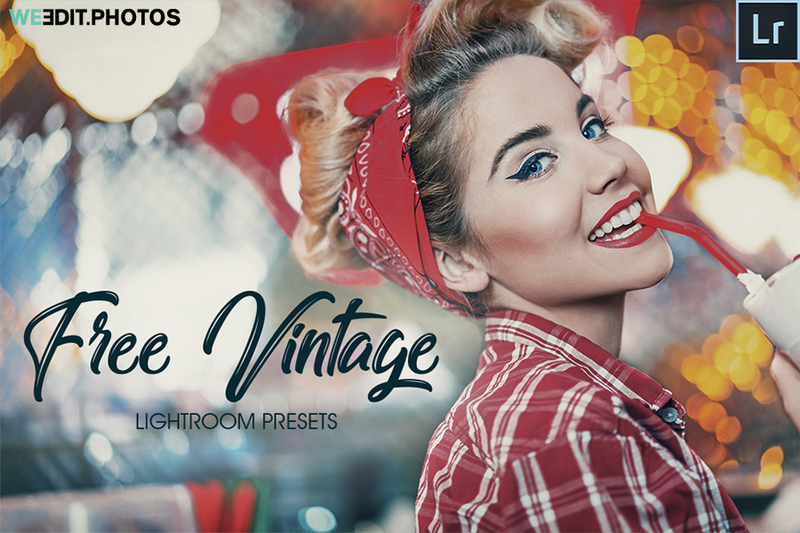 Turn back to 1940 with these free Lightroom presets. For true fans of old-fashioned style photos. Contrast, Soft HDR, Vignette Light and other presets will help you add a sepia effect to any photo. Get this set right now! 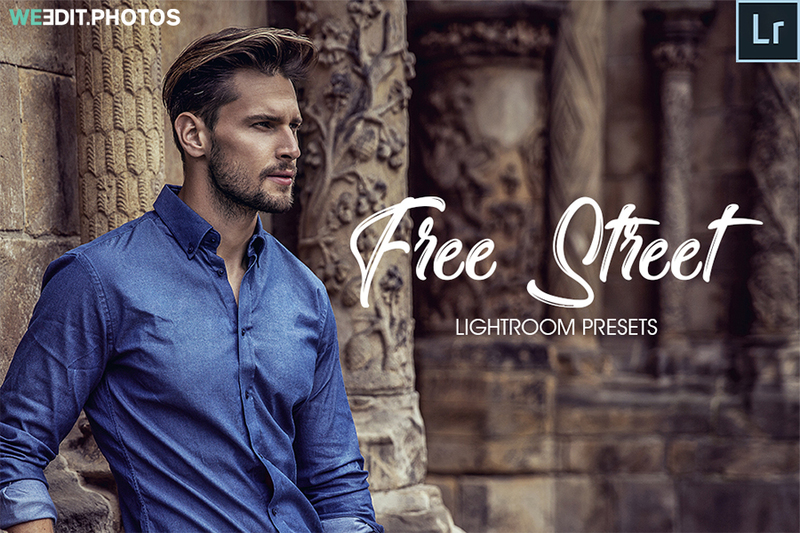 Suggests using several special presets to create a delightful photo. As a result, you will get an attractive and atmospheric image in soft and watercolor tones. Wedding photography is usually about 1000 raw portrait photos that require professional photo editing. 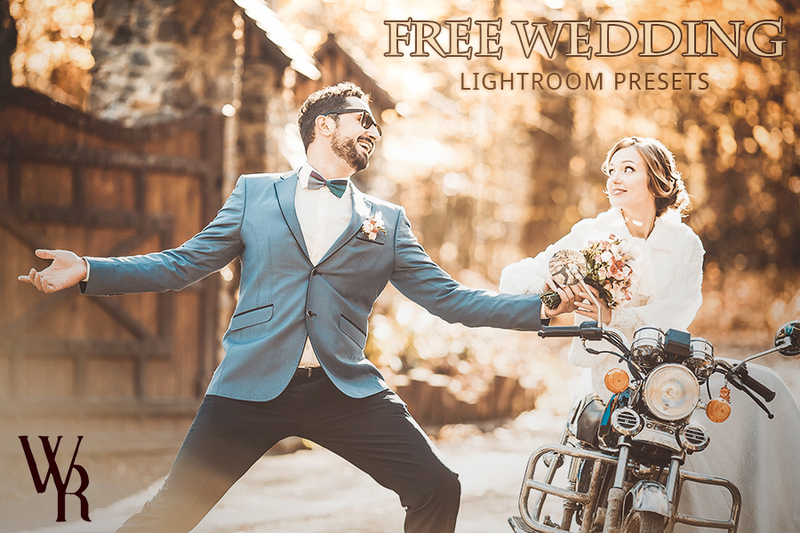 Wedding-retouching offers downloading free Lightroom presets for wedding photographers that will be a real helping hand and excellent assistants to all amateur and professional photographers. It increases the depth of blue colors and makes the white and black colors sharp. 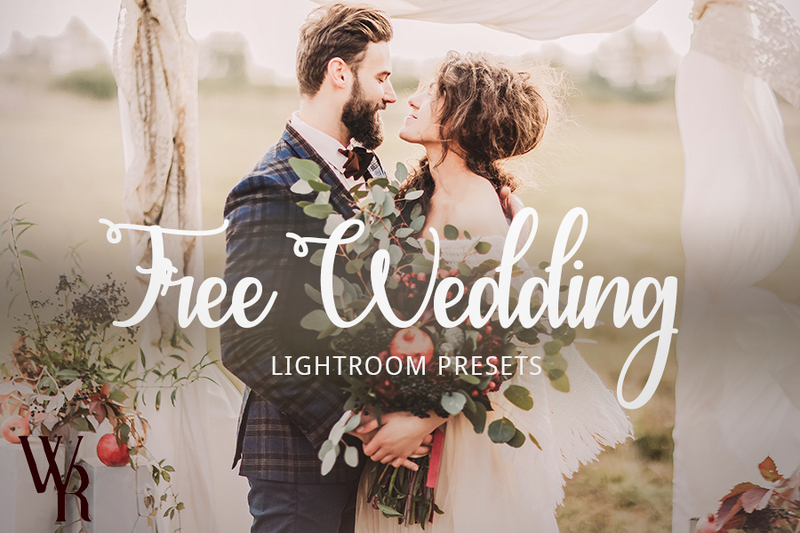 This free Lightroom presets make the pictures more atmospheric and warm. So, the photo will be filled with golden shades. This type of preset is designed for fans of matte effect in photos. Gentle pink, white, beige and light blue color tints really make you fall in love with matte effect. Make bridal portraits more emotional and dramatic with several clicks. Classical B&W always looks fabulous, especially on wedding family photographs. Helps to create images in the film’s style. Moreover, it creates an old-fashioned atmosphere. 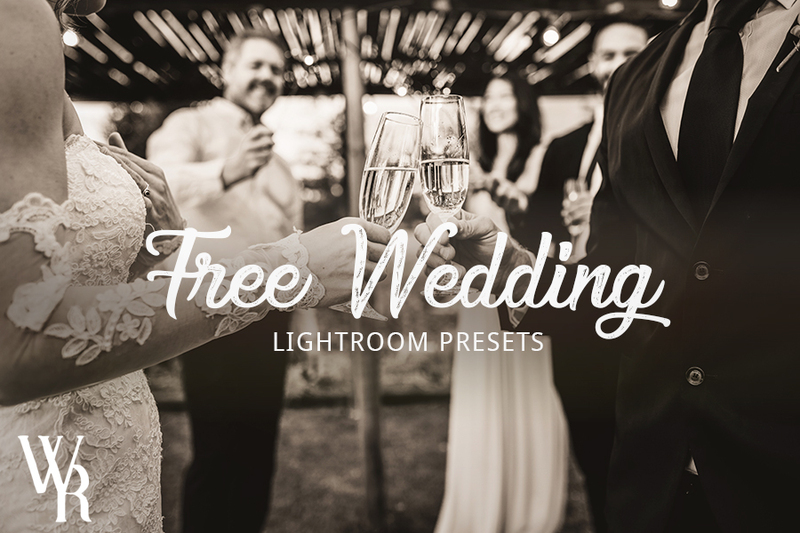 Highlight the beauty of a bride’s and groom’s faces with these set of portrait Lightroom presets. Make skin smooth and hair clear with this plug-in. Light vignetting and adding contrast always make portraiture awesome. As you may have guessed, this preset gives cool shades to the photos. 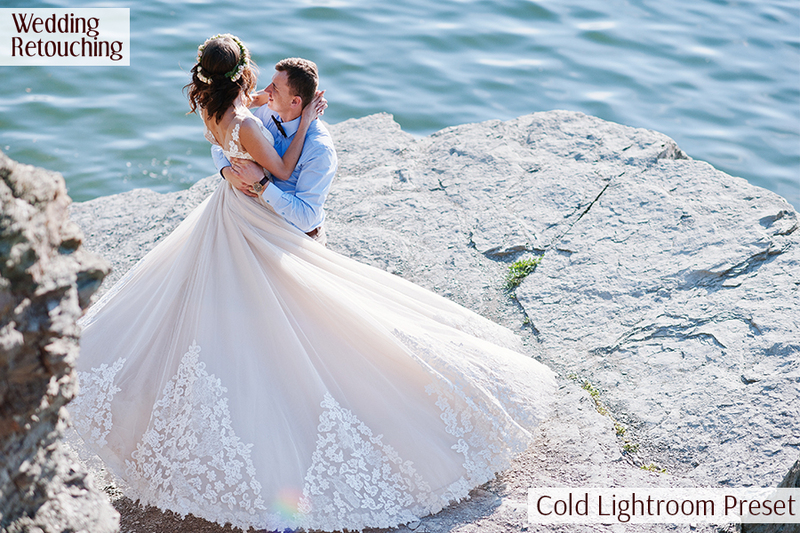 A white bride’s dress looks especially wonderful after using this LR plugin. This is a popular effect that occurs in wedding photos. 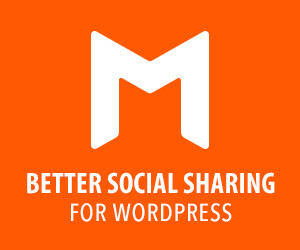 It is an alternative to black and white photo editing. Looks good on party portrait photos with much artificial lighting. 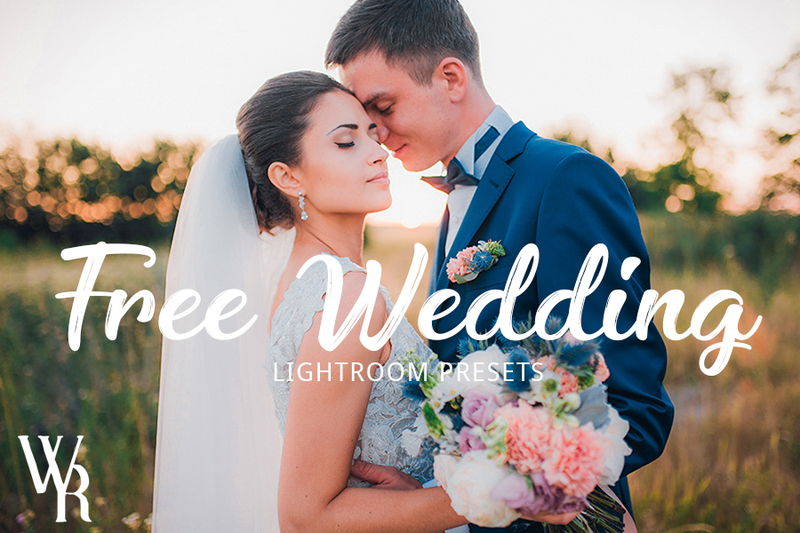 This is one of the best free Lightroom presets 2018, especially for the portraits made outdoors. A large number of photographers, designers and editors use the tool in their work to enhance landscapes and nature on the background. Make photos naturally bright and not oversaturated. It is great for wedding photos to make them bright and attractive.